The Loft Boutique is the first e-commerce website I created. 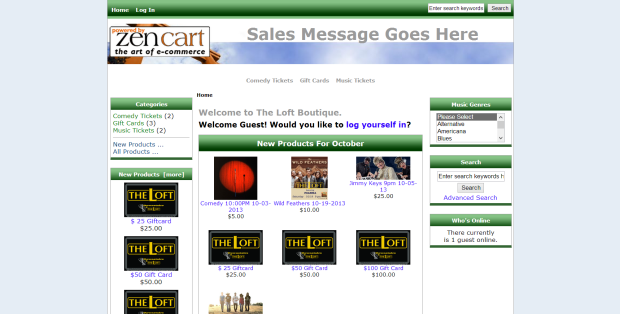 It was created in Zen-cart and was maintained by the staff at The Loft. The products were initially made by me and then the owner went in and learned the system so he could make changes himself. It was on a SSL, on a Godaddy hosted account, with Authorize.net as the payment gateway.